In this Sept. 24, 2018, file photo, CIA Director Gina Haspel addresses the audience in Louisville, Ky. Haspel is headed to Capitol Hill to brief Senate leaders Tuesday, Dec. 4, 2018, on the slaying of Saudi journalist Jamal Khashoggi as senators weigh their next steps in possibly punishing the longtime Middle East ally over the killing. Breaking with President Donald Trump, senators leaving a briefing with CIA Director Gina Haspel on Tuesday said they are even more convinced that Saudi crown prince Mohammed bin Salman was involved in the death of Saudi journalist Jamal Khashoggi. Senate Foreign Relations Committee Chairman Bob Corker, R-Tenn., said he believes if the crown prince were put on trial, a jury would find him guilty in "about 30 minutes." Sen. Lindsey Graham, R-S.C., who demanded the briefing with Haspel, said there is "zero chance" the crown prince wasn't involved in Khashoggi's death. "There's not a smoking gun. There's a smoking saw," Graham said, referring to reports from the Turkish government that said Saudi agents used a bone saw to dismember Khashoggi after he was killed in the Saudi consulate in Istanbul. Graham said "you have to be willfully blind" not to conclude that this was orchestrated and organized by people under the crown prince's command. It's unclear whether or how that resolution will move forward. 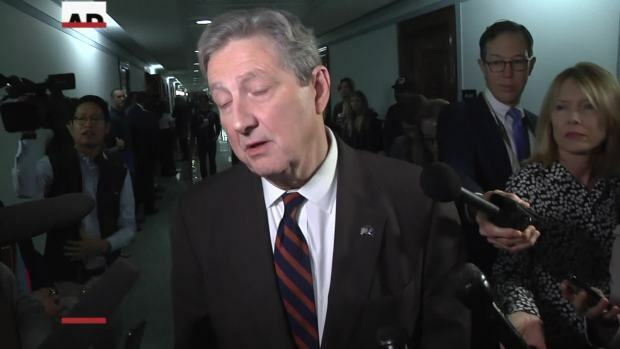 The vote last week allowed the Senate to debate the measure, which could happen as soon as next week, but senators are still in negotiations on whether to amend it and what it should say. 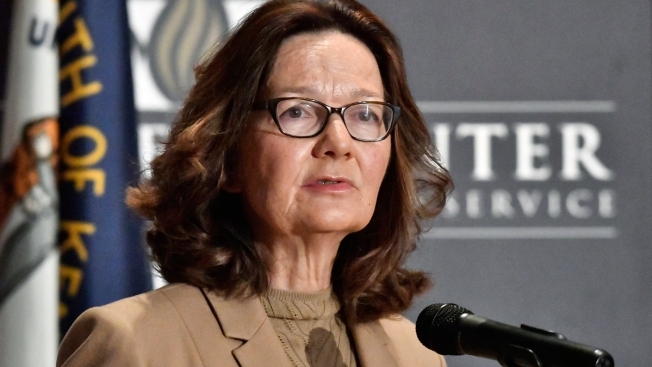 Haspel met with a small group of senators, including leadership and the chairmen and top Democrats on the key national security committees, after senators in both parties complained that she didn't attend an all-Senate briefing with Secretary of State Mike Pompeo and Defense Secretary Jim Mattis last week. Pompeo and Mattis tried to dissuade senators from punishing Saudi Arabia with the resolution, saying U.S. involvement in the Yemen conflict is central to the Trump administration's broader goal of containing Iranian influence in the Middle East. Human rights groups say the war is wreaking havoc on the country and subjecting civilians to indiscriminate bombing. The two men also echoed Trump's reluctance to blame the crown prince. Pompeo said there was "no direct reporting" connecting the crown prince to the murder, and Mattis said there was "no smoking gun" making the connection. After that briefing, Graham threatened to withhold his vote on key legislation until he heard from Haspel. "I'm not going to blow past this," he said. That afternoon, senators frustrated with the briefing and the lack of response to Khashoggi's killing overwhelmingly voted to move forward with consideration of the Yemen resolution, 63-37. Illinois Sen. Richard Durbin said the briefing with Haspel "clearly went in to an evaluation of the intelligence" and was much more informative than the session with Mattis and Pompeo. "I went in believing the crown prince was directly responsible or at least complicit in this and my feelings were strengthened by the information we were given," Durbin said. "Every senator should hear what I heard this afternoon," Durbin said. Kentucky Sen. Rand Paul, a critic of Saudi Arabia, said that excluding some lawmakers is "the very definition of the deep state" and that he suspected that the Trump administration is attempting to get some lawmakers to switch their votes on the resolution by giving them information. "It could very well be that the crown prince had knowledge of this tragic event," Trump said in a lengthy statement Nov. 20. "Maybe he did and maybe he didn't!" "They have been a great ally in our very important fight against Iran," Trump said in the statement. "The United States intends to remain a steadfast partner of Saudi Arabia to ensure the interests of our country, Israel and all other partners in the region." While acknowledging the country's long relationship with Saudi Arabia, senators have said the murder can't be excused. In a column for the Wall Street Journal on Tuesday, Graham wrote that the killing and other moves by the Saudi regime showed "astounding arrogance entitlement" and disregard for international norms. "We are a coequal branch of government exercising leadership to safeguard the country's long-term interests, values and reputation," wrote Graham, a frequent ally of the president, of the Senate. "After all, someone's got to do it." Graham said after the briefing that he would push for a nonbinding resolution that the crown prince was "complicit" in Khashoggi's murder. Graham and Paul have also said they think Congress should block a pending arms deal with the kingdom. Corker said senators are trying to figure out how to amend the resolution, which directs the president to remove most U.S. armed forces from hostilities affecting Yemen. He said finding a compromise will be difficult because some lawmakers don't want to tie Yemen to the Khashoggi killing. Senators are "trying to figure out an amendment that a larger group of people could get behind that addresses this issue without undermining our national interests," Corker said. "Now, the question is, how do you separate the Saudi crown prince and his group from the nation itself," he said. 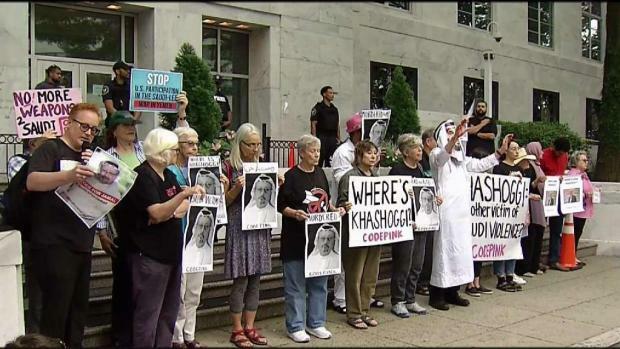 While Senate passage of a resolution would send a strong message to Saudi Arabia, it's unlikely it would become law before the end of the year. The House hasn't moved on the issue, and Speaker Paul Ryan last week said the Yemen resolution "isn't the way to go."